Submitted by Alexander on Tue, 08/16/2016 - 04:45. We have updated our selection of the best overdrive pedals, and added tips on how to find the right one that fits your taste and tone shaping needs. This guide is sponsored by Sweetwater so you can click through to get the full specifications, the latest price, and purchase any of the Overdrive Pedals stocked by Sweetwater that we have recommended. The flexibility of overdrive pedals is one of their main selling points, in addition to providing transparent overdrive effect, they can be used to drive an amp, or to support another dirt pedal. This flexibility has made it a staple in many pedalboards, forcing manufacturers to flood the market with every type of overdrive imaginable. To help narrow down your choice, we have waded through these pedals to pick out worthy units that will help you find the right pedal for your needs. To keep this list focused, we did not include hard-clipping fuzz pedals, and we also stayed away from distortion pedals with their compressed sound. What you'll see here are pedals with top notch soft-clipping overdrive tone, but don't be surprised if some do cross into fuzz or distortion territory without compromising quality. Pedalboard space is an ever dwindling resource, and if your board is already full you'll have to either remove some gear, or supersize your board. So before you even go through the list below, asses the available space of your board. Thankfully, manufacturers have been miniaturizing many of their popular pedals, including overdrive effects, but the controls on these "nano" or "mini" pedals are usually limited. Classic overdrive pedals are voiced to be transparent, but will often have more emphasis on the mids to let your signal cut through a mix better. Modern ones will give you more control over the resulting sound with their EQ knobs, and some may even use compression for higher gain settings. If your overdrive pedal will be your main dirt unit, then you'll want flexibility and gain range. On the other hand, if you're just looking to drive your tube amp or supplement another pedal, then you'll want the most transparent ones available. While having tone shaping features is generally good, don't fall into the trap of judging OD (Overdrive) pedals based on the number of knobs, rather find the one with just the right controls to inspire your to play better and make great music - and not to spend too much time tweaking. The price of overdrive pedals are generally accessible, but some can be quite expensive, especially boutique and modded ones. Those with picky ears would be willing to invest in more expensive units, because they may find the difference in sound quality and transparency to be worth the added cost. Others will find the difference to be subtle and not worth the extra cost. From affordable workhorse pedals that produce classic tones, to newer stompboxes with extensive tone shaping capabilities, here are the overdrive pedals that we highly recommend. Many years after it was first introduced, the Ibanez Tube Screamer is still the top overdrive pedal in the market. It has stood the test of time, and continues to be the most sought after and most copied overdrive pedal in the market. As proof, many of the mass-produced and boutique pedals today are inspired by the TS808, with some even directly cloning the pedal. And since many overdrive pedals owe their existence to the iconic green tube screamer, it is only proper to give it the top spot. The TS808 is still popular among blues and rock players to this day, thanks to its impressive ability to preserve the dynamics of your original guitar signal. And with so many modern overdrive pedals that claim to provide better control and flexibility, it is an incredible feat for the Tube Screamer to still be relevant and thrive. Among the long line of artists that use the Tubescreamer, the legendary Stevie Ray Vaughn with his aggressive playing style is the most prominent. He exemplified how an overdrive pedal can be put to great use, and many continue to follow his example. If pedalboard space is an issue, you can check out the Tube Screamer Mini, which is a compact version of the original TS808. What's better than overdrive? The answer according to Fulltone is simple, add another layer of overdrive! At the core of the Fulldrive 3 is a NOS JRC4558D Chip, which is put to good use with its two independent overdrive channels, one for providing versatile overdrive tones while the boost channel adds more gain and sustain. The pedal starts off like a transparent OD pedal at lower gain settings, but as you increase gain, you get more intense and gritty overdrive tones. This allows you to go from subtle blues overdrive to classic rock crunch, and it can even give you '90s era style tones to modern ones that's similar to distortion. And if that is not enough, you can engage Boost for more gain and sustain that crosses the border between rock and metal. You can spend hours tweaking the Full Drive 3 to get a wide variety of tones, and is easily among the most versatile in the market. If you want in-depth control over your sound, check this one out. Formerly known as Visual Sound, Truetone is known for great sounding knob-infested pedals, and the VS-XO Dual Overdrive represents them in this list with its incredible sound quality and versatility. The VS-XO is simply two overdrive pedals packed inside a single stompbox unit, with each overdrive section having its own independent set of control and input/output ports. Designed for experienced players, this dual overdrive design allows for complex setups and gives you in-depth control over the resulting sound. Since each channel has independent control knobs, you can set the two overdrives differently and place them on different places in your signal chain, allowing for incredible flexibility. And it's not just about complexity because the mid-focused tone of this pedal has great clarity and dynamics, great for classic rock and blues applications. Electro-Harmonix knows how to add useful features without going overboard, and one such pedal that exemplifies this is the EHX Crayon. As the name implies, this overdrive pedal lets you color your tone in a variety of ways with just four knobs, resulting in a versatile unit that stays within the standard pedal size. The first two knobs let you adjust gain and volume much like any other dirt pedal, while the other two gives you basic EQ control for tone shaping. At first glance, the Treble and Bass knobs may seem lacking, but they sweep at the right frequencies, complementing the pedal's voicing really well. Instead of muddying your sound, the bass knob beefs up your lows nicely, while the treble adds presence and air. The EQ works in conjunction with the sensitive gain knob and the volume knob so you can conjure subtle to modern overdrive voicings. What makes this pedal special is its balance of features and pricing, making this an affordable pedal that packs quite a lot of punch for the money. It also helps that the pedal looks really cool and doesn't take up too much pedalboard space. Although not as popular, Fulltone has some big name artists that stand for their products, this includes Joe Perry, Keith Richards, Stone Gossard, Lou Reed and many more. Even the great Nigel Tufnel allows his guitar signal to go through Fulltone gear - their pedals are that good. Michael Fuller, the guitarist and tone meister behind Fulltone, created the OCD pedal for those that obsess about minute details of their sound. It is a pedal that behaves like a tube amp, mimicking their ability to provide rich overtones when cranked. The overtones even ring into feedback like real amps and cleans well when you back off your guitar's volume. And majority of reviewers find the tones convincing, with many ranking this pedal highly in their reviews. For something compact and straightforward, the OCD carries a good variety of tones, thanks to its hi and lo peak gain switch. This may just be the cure you need if you find yourself obsessing over your tone too often, but don't want to spend too much pedalboard real estate. Thanks to its affordability and accessibility, the Boss SD-1 has found its way on to countless pedalboards. Its plug and play operation and smooth overdriven tones have satisfied many, from hobbyists to big name artists like The Edge and Johnny Greenwood. Although comparable to Ibanez' TubeScreamer, the SD-1 has an angrier tone with more presence. It is popularly used to drive tube amps to produce singing lead tones, by setting the drive low and increasing the level. It also works great as stand-alone, you can add subtle grit, or increase the drive to add more crunch. The pedal's ability to preserve pick attack and dynamics is well loved, especially considering its cheap price tag. If you are looking for a budget friendly overdrive pedal, then we highly recommend the Boss SD-1. The Klon Centaur is the equivalent of Dumble amps in the world of pedals. It is an overdrive pedal surrounded by so much hype and mystery that sells for an unbelievably high price. Since the Klon is only accessible for the privileged few, we decided to feature a mass produced clone of the Klon (pun intended), the EHX Soul Food. Electro-Harmonix was quick to admit that this pedal is their attempt at reproducing the Klon Centaur at a much more reasonable price, in response to requests for an affordable alternative. And based on the many favorable reviews, it looks like Soul Food, with its impressive definition and headroom, is a success. Soul Food's impressive touch response and dynamic transparency shines best when working with an overdriven amp or another overdrive pedal. Affordable alternatives like the Soul Food are welcome because it helps keep the price of pedals in check. Of the many JHS branded overdrive pedals, the Andy Timmons Signature Overdrive secured them a spot on this list with its amp-like tone and feel. To be specific, this amp is voiced to mimic the British amps that Andy uses to get his overdriven tone, and they did so at a very high level, considering the size of the pedal. The gain and volume knobs are designed to behave much like the amps, while the EQ and Air knobs give you control over the resulting sound's tone and presence. What makes this pedal even more special is the headroom selector switch, which morphs the gain and response of the pedal to follow after that of 25-, 50-, and 100-watt amplifiers. This feature gives you different sweetspot thresholds, with the 100-watt having the most clarity, while the 50-watt adds some compression to simulate a cranked amplifier. Finally, the 25-watt setting makes the pedal sound like a a cranked boutique amplifier, with distortion like compression for increased sustain. While the price tag for this pedal is a bit on the high end, those that invested on this pedal have mostly great things to say. If you're looking for a compact and great sounding amp-in-a-box solution, then save up for this one. Wampler is a relatively new comer in the pedal scene that has been gaining popularity, thanks to great reviews and recommendations. The Tom Quayle Dual Fusion Overdrive showcases what Wampler can do, combining incredible sonic flexibility with top notch sound quality. And to achieve this, they teamed up with virtuoso Tom Quayle and blended two of their popular overdrive pedals, the Wampler Paisley Drive and the Wampler Euphoria. As the labels on the footswitches suggest. the Dual Fusion gives you vintage and modern overdrive effects in one unit, and since both channels are based on actual Wampler pedals, there's no need to skimp on quality. Users and experts alike are impressed by this pedal's transparency, which is applies even in high gain settings. So if you're like Tom Quayle and want the nuances of your guitar playing to come through with your riffs and solos, then you'll love this pedal. Each of the two channels have independent controls and signal routing so they behave like two distinct pedals, allowing for a variety of combinations to play and experiment with. Voicing switches allow for further tone sculpting, adding up to a wide array of tone options. The only downside to this pedal is its premium price tag and bulk, but given its quality and 2-in-1 configuration, you're getting more than your money's worth. You can check out the Wampler Tumnus Overdrive if space and budget is limited. The MXR Custom Badass Modified O.D. gives you classic overdrive sounds with modern tone shaping enhancements. It features a 100Hz cut and boost knob that lets you fine-tune your sound, as well as a bump switch that lets you emphasize the lower midrange. It provides great sustain and gain without hurting your natural guitar tone, and it gives you more room to tweak the sound. This versatile overdrive pedal comes in a compact form, with boutique-like appearance that matches the quality of its tone. This is the ideal pedal for the adventurous guitarists, that don't want to stray too far away from classic tones. It also works well when paired with other overdrive and distortion pedals. Behringer is mostly known for affordability, but don't count them out when it comes to quality, because they have a number of products that can top others that are priced twice or more. One such product is the Vintage Tube Monster VT999, an overdrive pedal with genuine 12AX7 vacuum tube within its preamp. And for a genuine tube equipped pedal, it is priced lower than the average unit, easily beating out every overdrive pedal out there when it comes to value for money. While tone snobs may quickly dismiss this pedal because of its brand, those who tried the pedal genuinely liked it, impressed by the pedals organic tone and decent tone shaping options, with its 3-band EQ. In addition, more experienced users have found better use for this pedal by replacing the factory installed Bugera tube with either Mullard or Telefunken tubes. While it does work great as your main overdrive pedal, the VT999 also works wonders as a preamp for an actual amplifier, and reviewers have been praising its ability to warm up the sound of overdriven amps. At just under $50, this tube overdrive pedal is an easy pick that will not hurt your wallet. If there's an overdrive pedal you feel should be in the top 11 please share your opinion in the comments below. Would you like to know which Distortion Pedals are rated as the best? 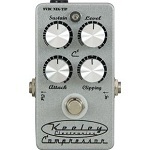 You might also want to check out our roundup of Compressor Pedals. You've got to be joking right? Posted by Anonymous on Tue, 02/26/2013 - 14:04. Posted by Alexander on Tue, 02/26/2013 - 23:46. Those are some good boutique OD pedal choices. We were considering the Zendrive, but we had to make room for some affordable pedals that are more readily available, and yet have great quality. Posted by martin bakker on Wed, 07/02/2014 - 04:22. So it should not have been called "the 11 BEST........" then. Posted by Alexander on Thu, 07/03/2014 - 01:04. But it is "The 11 Best"... Value for money and accessibility are realistic, and critical factors when getting pedals. While tone is important, it can be subjective - so we included measurable and reliable information in coming up with this list, which include price tags, sales performance and user feedback. Posted by cormac on Thu, 03/14/2013 - 04:42. Well put. Props to O.P. Posted by Anonymous on Thu, 04/09/2015 - 04:44. Well put. Props to O.P. Anyone reading an article about pedals is most likely familiar with lovepedal and analogman, but for most people they're just not attainable. I like that the list was populated with pedals that are a little farther outside the box (pun intended once more). If you were making a list of the greatest basketball players ever it would basically be understood that MJ is number one, just like Klon and blah blah blah are the most sought after OD pedals. I thought it was nice to see a list that used those indisputable ones as a jumping off point and went a little deeper from there. Posted by Andy on Thu, 04/23/2015 - 14:36. Posted by Anonymous on Thu, 06/04/2015 - 19:16. The fulltone fulldrive is a waste of money. No real boost at all when engaged. Makes any amp sound like it has paper cups for speakers. No thanks. I haven't yet found a match to the original Ibanez TS-808. Posted by Anonymous on Fri, 09/18/2015 - 22:45. For Anon. If you pull the first knob of the Fulldrive up, it cuts the compression and you get bags of boost. Very nice it is too. Posted by Mike on Sat, 10/31/2015 - 14:04. I'm not sure why this article insists that there was a failure in the Ultimate Drive to sound like a tube amp, and that the pedal sounds solid state - you can look all over YouTube and see side-by-side comparisons of it and the OCD and the tone from the pedals is indistinguishable. Posted by Anonymous on Wed, 06/14/2017 - 12:30. I've played almost all of these pedlals and the Bad Monkey is by far the best.